← Running the Race #1: Stop, Rest, and Recover. Read #1: Stop, Rest, and Recover." After taking two and a half weeks off to recover from my injury, I successfully ran two miles without the pain in my left quadricep. 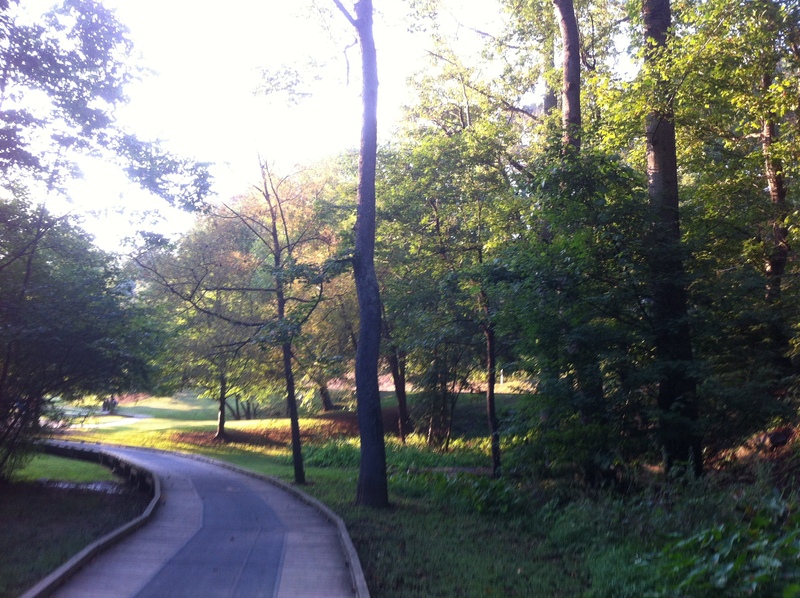 Running two miles, when my running schedule said I should have run ten miles, was a combination of success and defeat. I kept stretching and training as if I had months to recover, knowing I was in over my head on this one. Still, something inside me couldn’t admit defeat just yet. Why is that? What makes us press on when it’s pretty obvious we should stop? I had my training schedule taped on my wall, and even though I couldn’t do the required amount for the day, I still felt compelled to do as much as I could. The Saturday before the marathon, I got up early, put on my entire race day gear, and headed to Wilshire Trails. It was dark, cold, and rainy when I showed up. Only three other people where out there: other insane runners like myself. Just because we’re in our Underarmor stretchy-pants, Asics, and cute little running hats, we’re somehow friends and can high-five each other and smile as we pass along the trails. I love it. Anyway, I turned on my tunes and went for it. My legs definitely felt the burn, but I finished the 10k. Sometimes you just have to show up. Even with all the odds against me, I knew I would never know if I could run a marathon if I didn’t show up. I didn’t want to show up, honestly; I was scared of failure. At the same time, I knew I just put half a year of preparation into this thing! Even if the training didn’t go as well as I hoped it would, it counted for something. 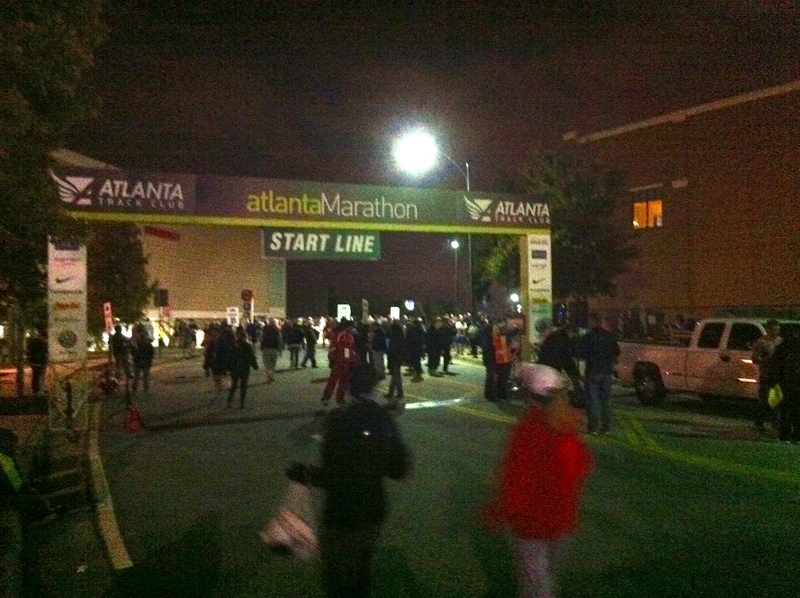 So, On October 27th, 2013, I showed up to the start line for the Atlanta Marathon. I think sometimes God just wants us to show up. So often we let ourselves be defeated before we ever get to the start line. Sometimes, starting out broken is exactly the place God wants us to be, because then He gets all the glory when I tend to forget to give it to Him and keep it for myself. It’s kind of like Moses. Moses didn’t want to face Pharaoh. He knew what an impossible situation it was to ask him to let his people go, right? Moses and Pharaoh had all kinds of weird history; it was a past neither of them probably wanted to face. Yet, God asked Moses to go and say some pretty crazy stuff to Pharaoh. It would have seemed absolutely absurd to the average person for Moses to show up in front of him the bold way that he did. But, he did. He showed up. Things didn’t work out perfectly, either. There was a hot mess of plagues before people were actually delivered. But, God is faithful. If we show up when He asks us to, God will always be faithful to walk beside us through it all. What’s going on in your world where you just need to show up?